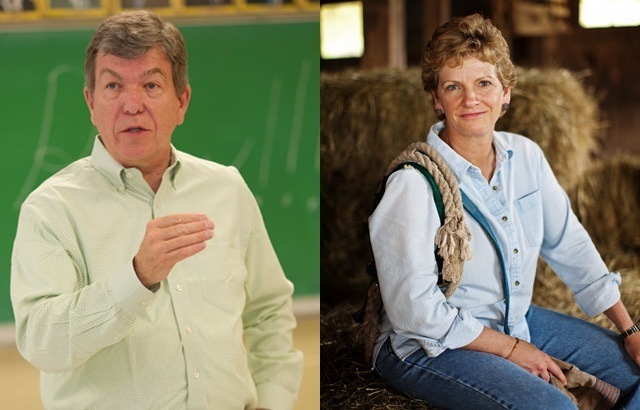 It’s already bad enough for Democrat Robin Carnahan that she hasn’t led a poll this year, but since primaries Republican Roy Blunt’s lead has been growing. In the likely voter polls he now leads by 6, 7, and now 10 in the latest Rasmussen. Yes this is Blunt’s second double-digit lead: 53-43 (MoE 4). The inclusion of leaners by Rasmussen didn’t even seem to change the race: the last poll without them had the lead at 13. I show an 11% chance that Carnahan leads according to this one new poll alone, but when no poll has shown her leading since Christmas, it’s hard to say she has much of a chance anymore. And with the major national organizations of Democrats already having spent over a million in the state, and now doing “triage” to leave races for dead, I can’t imagine Carnahan will get the help she badly needs right now.